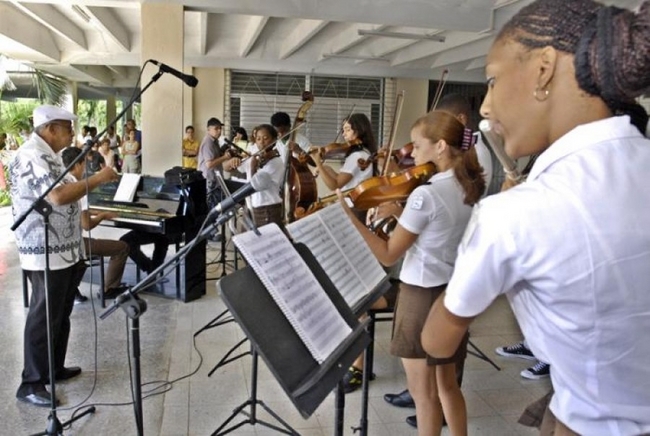 According to a report by the Cuban Ministry of Culture, the hostile blockade policy prevents the island from obtaining materials and supplies vital to arts educationNot long to go before the start of the new school year and everything is ready across all levels of the country’s education system: uniforms, study materials, school equipment, etc. However, for the over 8,000 students set to enter the country’s network of art schools, the situation is different. Even though the key resources have been guaranteed for this year, classroom doors will open under the negative impact of the economic, financial and commercial blockade imposed by the U.S. government on Cuba. According to a report by the Cuban Ministry of Culture, the hostile blockade policy prevents the island from obtaining materials and supplies vital to arts education. For example, the country would make a considerable saving if instruments for music students, oil paints and paint brushes for visual artists and shoes and costumes for dancers in training, could be purchased from the U.S. market. Access to that market could save Cuba a potential $35,000 U.S. dollars for those studying saxophone, $133,000 for those studying piano and another $2,000 on ballet attire (leotards). These are just a few examples of a reality which affects all branches of arts education. The Mincult report highlighted the blockade’s negative economic impact on live performances by Cuban musicians in the U.S., which take place in the form of cultural exchanges, with a prohibition on signing commercial contracts. Thus Cuban entities receive no economic benefits, and are further impacted given the inability to sell products in other markets while in the U.S. The extraterritorial nature of the blockade impedes the promotion, distribution and marketing of Cuban artists and negatively impacts product sale prices. This year the Cuban Institute of Music (ICM) organized 15 cultural exchanges in the U.S. with 122 artistic performances. The report estimates the export potential of Cuban music groups affiliated with the ICM to be as high as five million dollars a year, if blockade restrictions were lifted. In regards to copyright protection between Cuba and the U.S., management institutions from both countries are still prohibited from signing Contracts of Reciprocal Representation (CRR), which protect artists and their work marketed in both countries. The negative impact of the blockade also extends to visual arts, literature, online marketing of cultural products and the Cuban film industry. For example, the Cuban Institute of Cinematographic Art and Industry (ICAIC) is prevented from accessing technology developed by U.S. company Dolby.